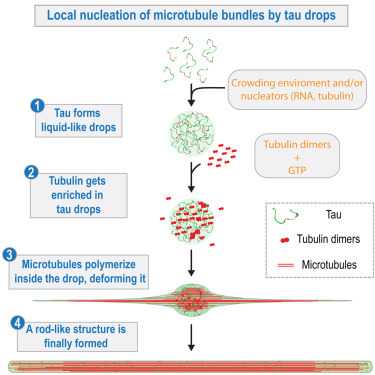 Local Nucleation of Microtubule Bundles through Tubulin Concentration into a Condensed Tau Phase – congratulations to Amayra Hernández-Vega and colleagues on their paper in Cell Reports! 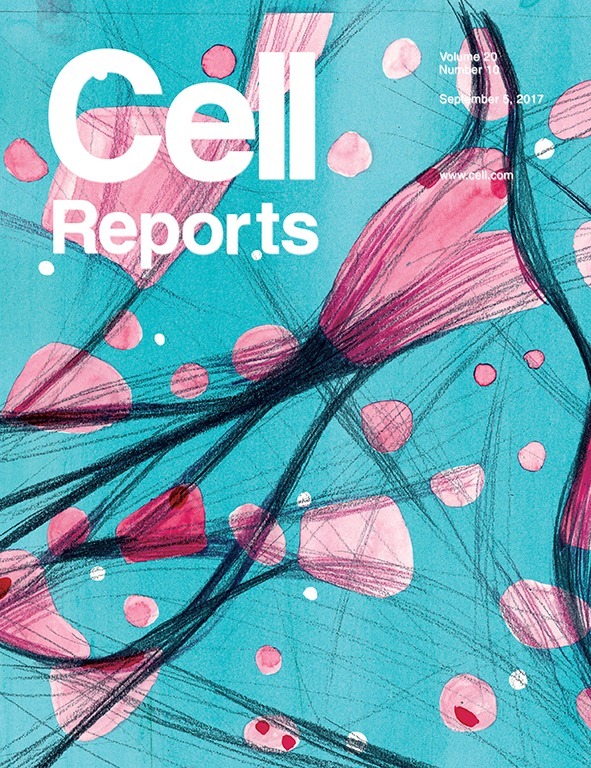 Our latest publication is now out in Cell Reports. In this work, we show that the protein Tau can phase separate into liquid-like droplets in vitro. These droplets can concentrate tubulin, which enables the polymerization of microtubule bundles that deform the droplets into rod-like structures. Read the full paper online (open access full text) and see the graphical and video abstracts below! This work was a collaboration with the labs of Stefan Diez and Simon Alberti and was led by our postdoc Amayra Hernández-Vega. Congratulations to all involved! Read a story about the work on Alzforum. This work was selected for the journal cover. The watercolor painting shows the retraction of tau from rod-like microtubule bundles into spherical drops and the simultaneous debundling of microtubules after treatment with heparin. Artwork by Julia Eichhorn.